Prasat Bayon. As the Pit Stop on the last Leg of the Race, this temple will serve as the starting point for this next leg of The Amazing Race Philippines. 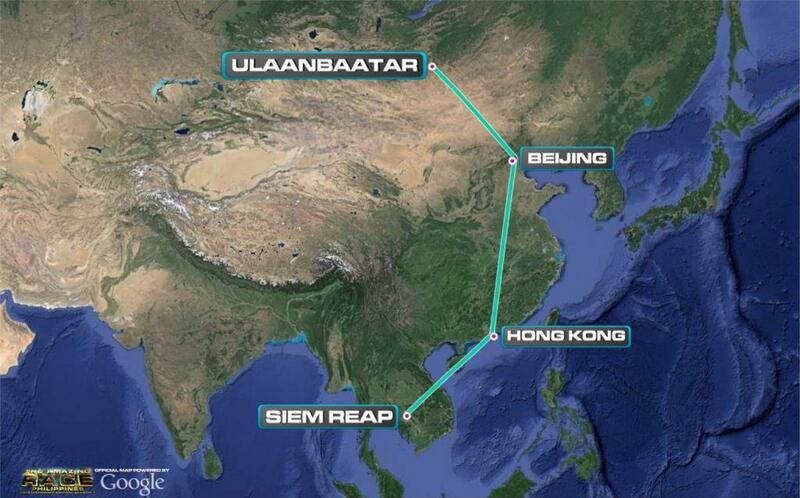 Teams must fly from Siem Reap, Cambodia to the capital city of Ulaanbaatar, Mongolia. 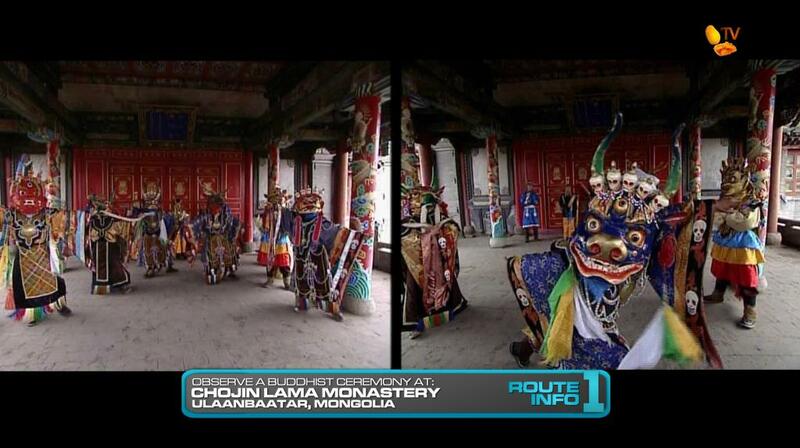 Once in Ulaanbaatar, teams will head to the Cjojin Lama Monastery where they will observe a traditional Buddhist ceremony before being handed their next clue. 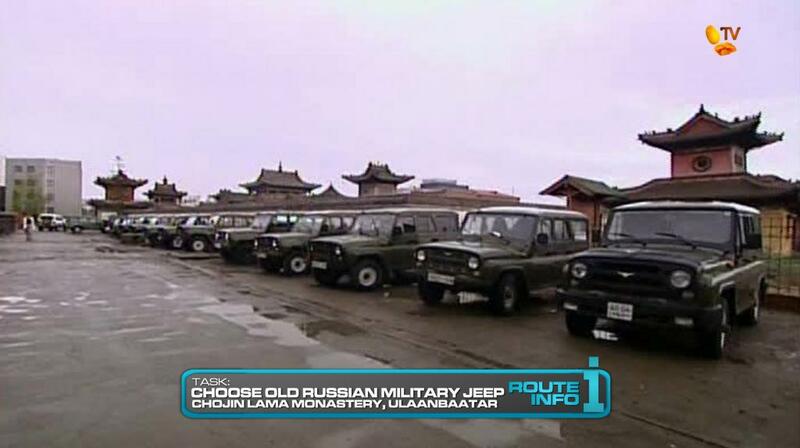 Teams will then choose one of the waiting old Russian military jeeps and drive themselves to Gorkhl-Terelj National Park. 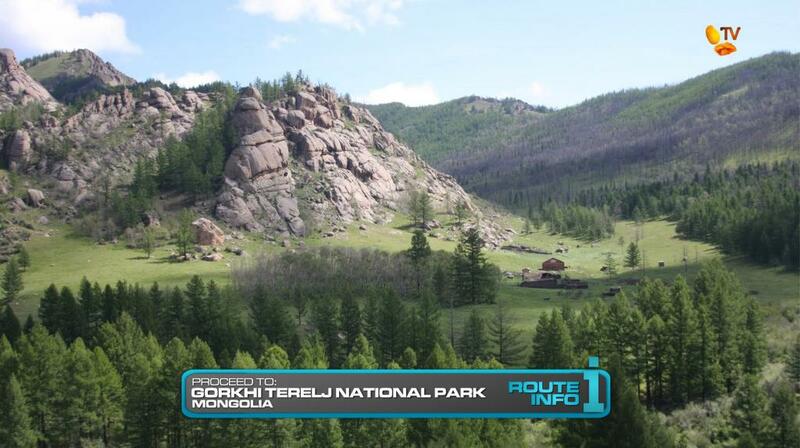 At the park, teams will put on traditional Mongolian army hats and ride 2.5 miles on a horse to their next clue. That clue reveals the Detour: Take it Down or Fill it Up. 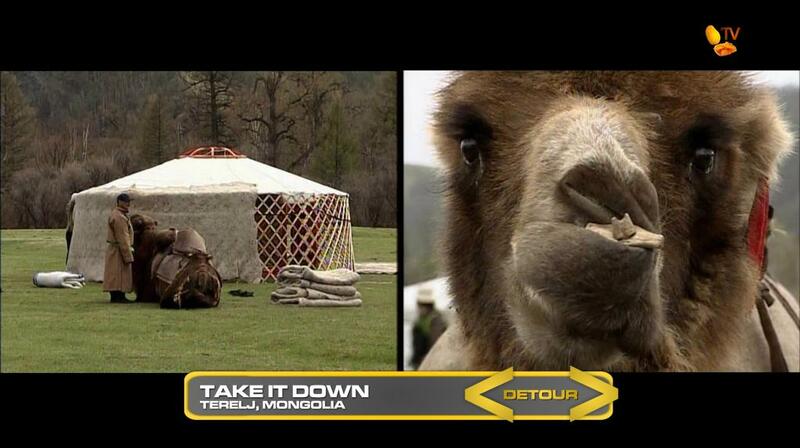 In Take it Down, teams will help a nomadic family take down the canvas walls and roof of a traditional nomadic shelter known as yurt. After rolling it up and attaching it to a camel, teams will guide it down the path to the location of the new home where they will reattach the canvas to a waiting frame. Once the canvas walls and roof are secure, teams will receive their next clue. In Fill it Up, teams must take a cart of three water containers pulled by an ox-like animal indigenous to Mongolia known as a hynik down to the river. After teams have filled the containers with water, they must bring them back to fill a barrel. Once teams have filled the barrel with water up to the designated line, they will receive their next clue. 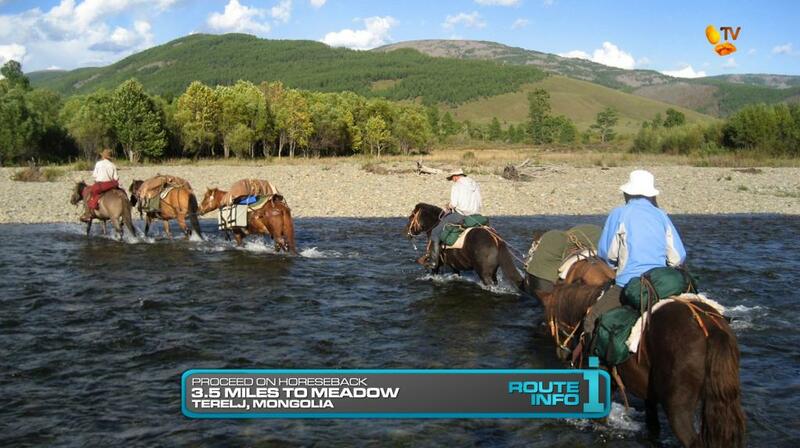 Teams must hop back onto their horses and continue to a nearby sheep farm. Here, teams will find out they must herd a flock of sheep into a designated pen in order to receive their next clue. 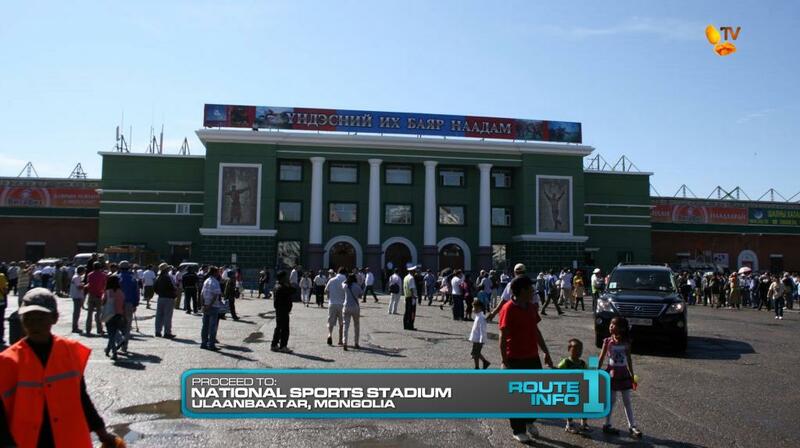 Teams can now ride their horses back to their cars and drive themselves back into the city to the National Sports Stadium where they will find their next clue. And that clue reveals the Road Block: Who’s on Target? 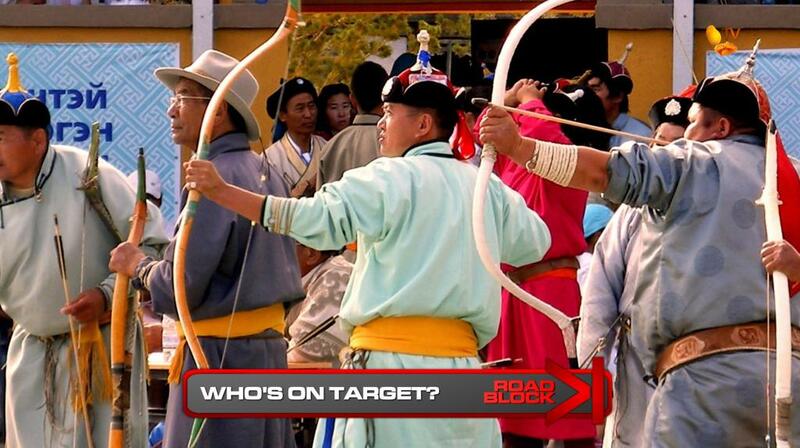 For this Road Block, teams will participate in the annual Naadam celebration’s archery competition by using a traditional Mongolian bow and arrow to hit woven targets known as surs. Once teams have hit 20 surs, they will receive the next clue. 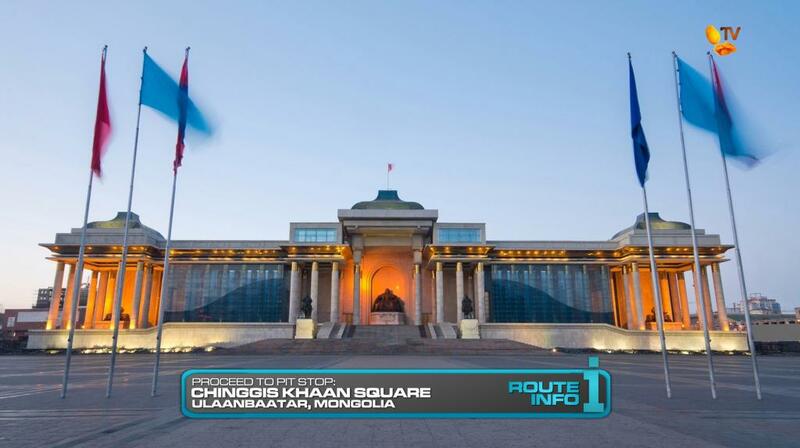 Teams can now head to Chinggis Khaan Square, the Pit Stop for this Leg of the Race. The first team to check-in here will win P100,000 from Shell V-Power Nitro+. This is the closest TARPH will get to a cold weather country until the season visa-free countries are allowed. 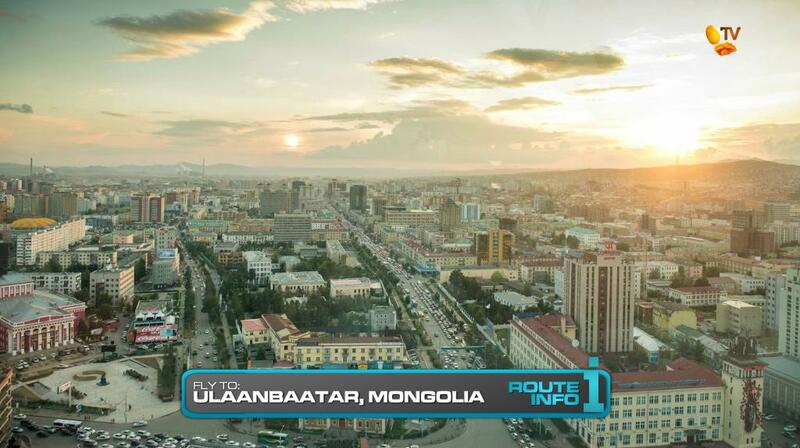 (And for TARPHDME, that won’t be until season 4, if it lasts that long lol) The hope is teams will be racing in Mongolia during a colder season. Even better if it snows! The Leg is pretty much TAR10’s Mongolia Leg with some modifications. The Detour is a little harder (just extra requirements). And for the Road Block, it gets teams into a great atmosphere of celebration. It’s always great when teams are thrown in local celebrations or parties, like this annual celebration in the National Stadium. Should be fun. Much of the season so far has also been in the city and not so much in the countryside or more rural locations. 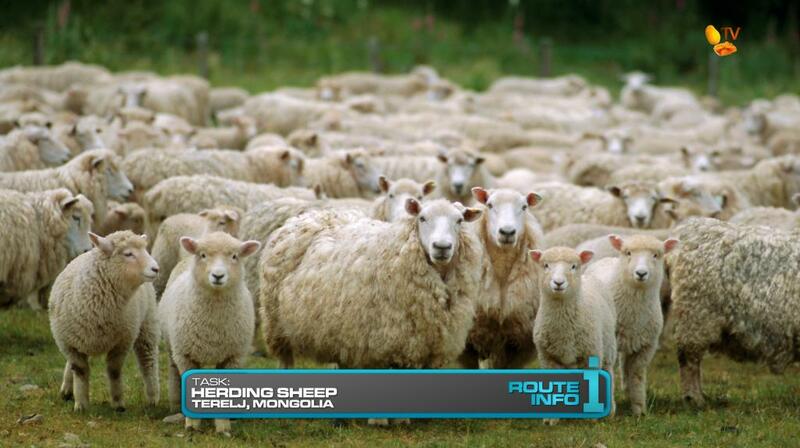 Plus, needing another task for this pre-penultimate leg, the sheep herding is both a fun task and, with the Detour and horseback riding, help fill the rural void in the season. I also only realized now that I am posting this Leg that there has been ZERO self-driving this season. Eeek. I made a point to have every type of location and task, but I didn’t think about self-driving vs. public transportation. I’d have found a way to sneak in one or two legs of driving if I realized it earlier. But oh well. We’ll fix that on season 3. (hehe) But since this is an Asia Race, the Asian countries are usually the hardest to drive in, even for TARUS. In my original 13 leg TARPHDME2, this Leg would’ve been a non-elimination Leg. But logistics (naks!) resulted in eliminating the would-be Leg 11 in Hainan, China and instead this season is down to the now-normal 12 Legs.